Dr. Bolton knew when the FUE machines were first introduced into the market they would be a blight to the industry. They are more hype and marketing than effective. As a matter of fact, they are causing a lot of harm to many patients who swallowed the many promises that were made. 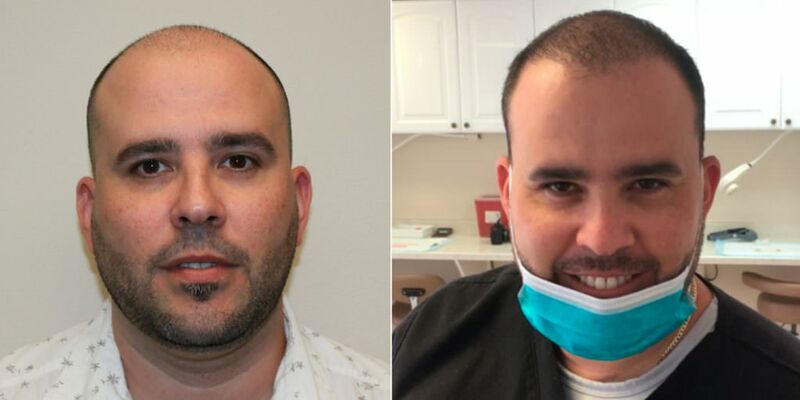 These false promises included that the hair transplant would be scarless, pain-free, you would be able to return to work the next day, it's undetectable, and state of the art. 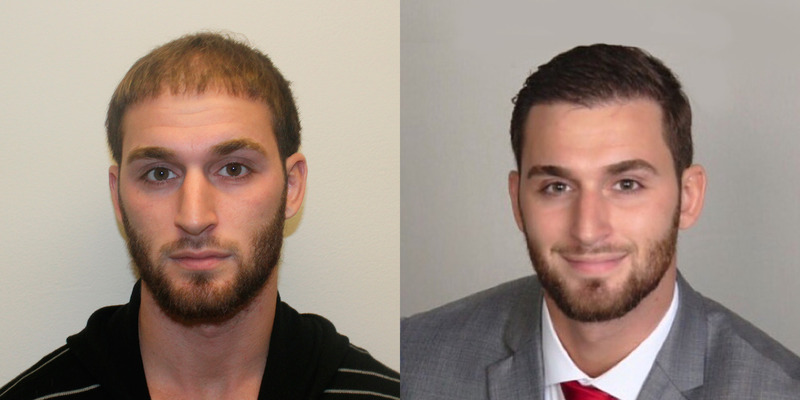 This young 28 year old invested a huge amount of money for his three procedures. His donor area is practically all used up and he does not have much to show for his three procedures and $40,000+ investment. We are now seeing Neo Graft and Artas machines on sale for a fraction of what was originally paid for them. It should tell you something when these machines were purchased for upwards of $80,000 and now are being sold for $5,000. 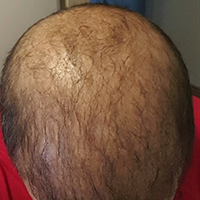 "I've had 3 FUE procedures using the ARTAS robot for a total of approx 5000 grafts. My last procedure was over a year and a half ago. My hair is still very thin and I wear hats all the time due to the lack of good results. I just want to know if there is any hope for me to actually get some normal looking hair and hairline/crown or if I should just come to terms with failed attempts to gain my hair back and prepare to shave my head... thank you!" These is what he has been left with after using this "new, innovative technology". Please note the thousands of pixel dot scars from where the machine removed each graft. 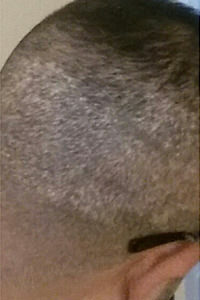 The claim of shaving your head and not seeing scars is not accurate. Having thousands of dots is not better then one thin scar. If you have one thin, fine scar, your donor is left intact and you have options for the future. 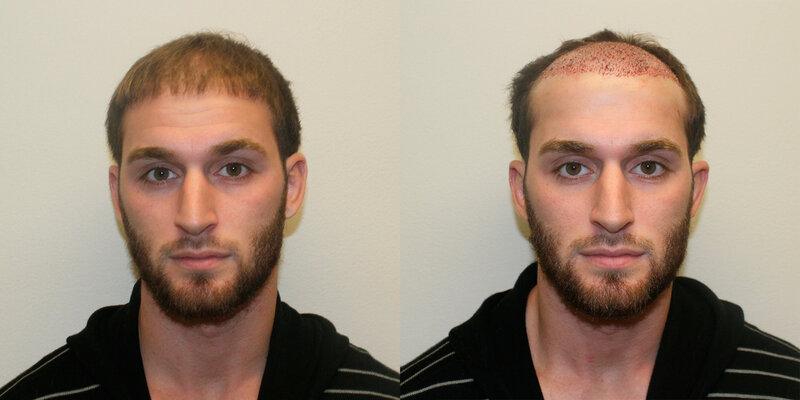 One or two FUE hair transplant procedures leaves your donor severely compromised. 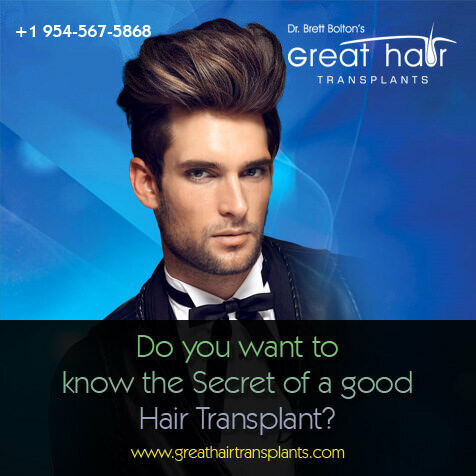 Not only can you not yield a lot of hair for any of the surgeries you are now out of options after just two surgeries and not much to show for it. With Dr. Bolton's method, you are left with just one scar, even after three surgeries. Which method is superior? There is hope for him. 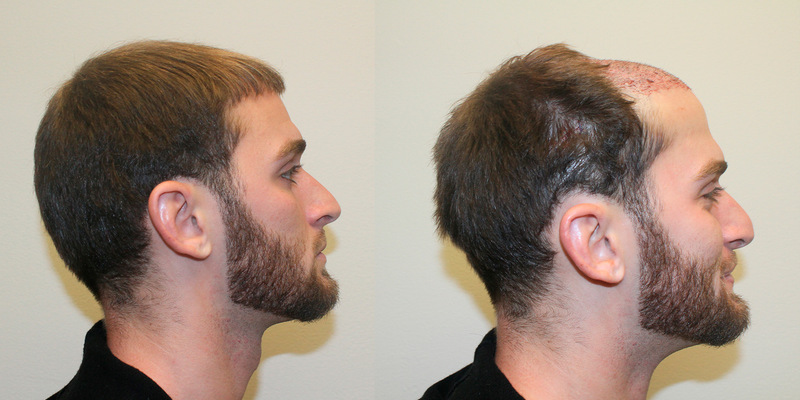 Dr. Bolton's single procedure achieves better results that multiple FUE procedures could ever produce. FUE hair transplants are marketed as a scar-less procedure and it is simply untrue. In fact, it is quite the opposite. 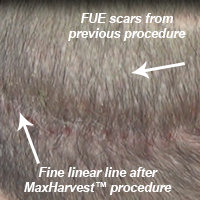 A single FUE procedure will leave you with thousands of small, circular scars all over the back of your head. 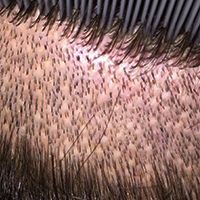 The worst part is that most of the time, hair is harvested outside of the safe zone, which creates the possibility of the transplanted hair falling out at a later date. 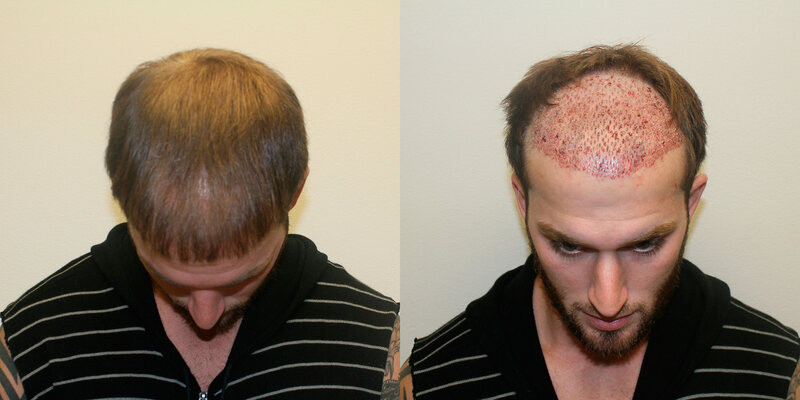 If this wasn't bad enough, the donor area becomes severely compromised during an FUE procedure, as it harvests from such a large area. This limits the possibility of future procedures and restoration options. 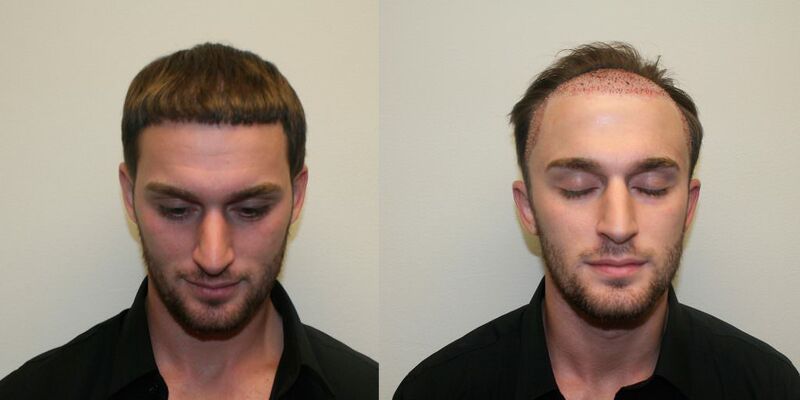 As you can see, FUE procedures are clearly not scar-less. 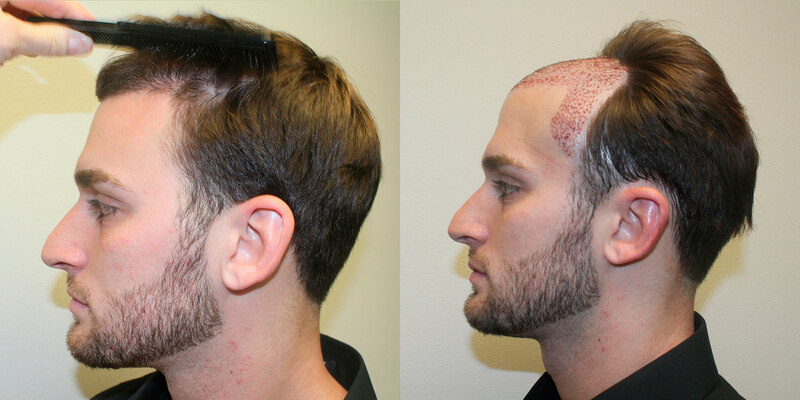 With a shaved head, FUE scars will be more noticeable than the undetectable, trace line that you are left with after a Dr. Bolton hair transplant. You can see the damage that has been caused to this patient's donor area. 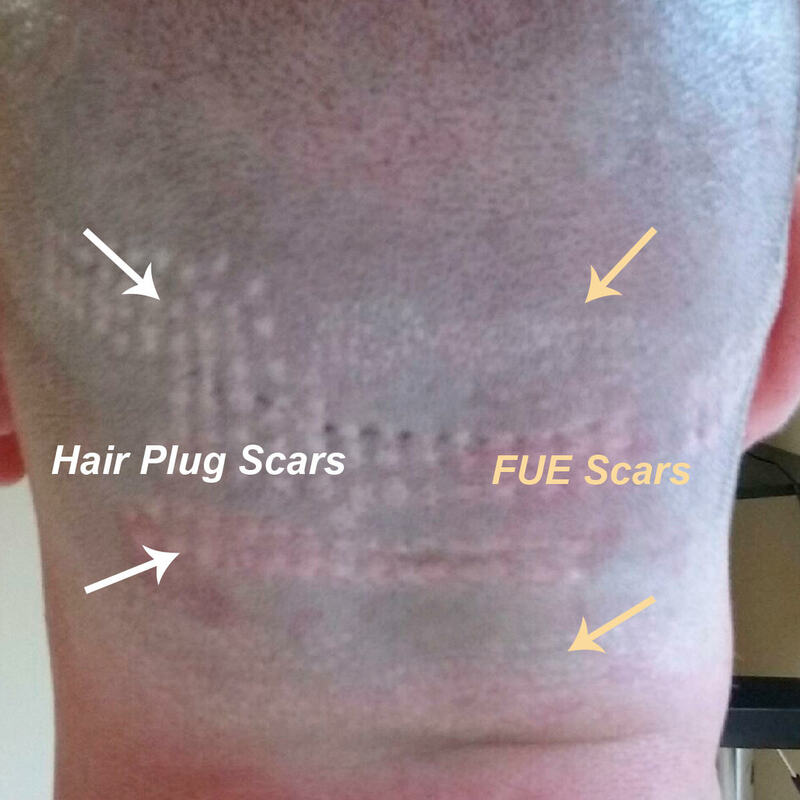 While the hair plug scars are larger, there are exponentially more FUE scars. These procedures leave the donor area in extremely poor condition and make future transplants very difficult. These scars are also much harder to remove than a single, linear line. Considering A Budget Hair Transplant Procedure? We receive many requests from people like the gentleman below who want to know what we recommend for them. 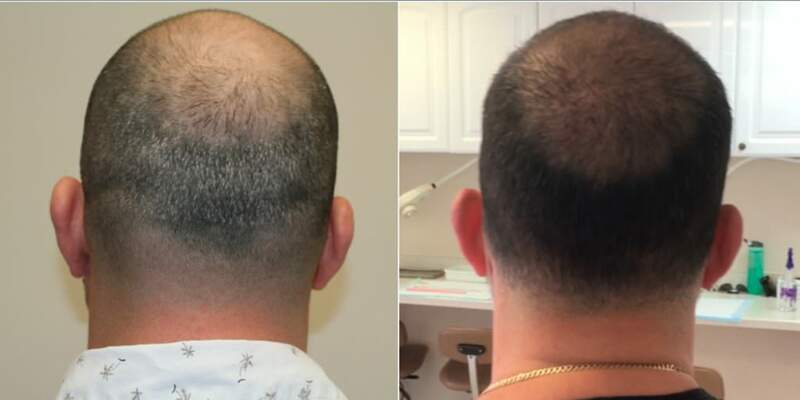 We tell them that they are a challenging case because of the amount of hair they have lost relative to what we can give them back in one procedure. We are honest and straight-forward, and we do not just tell people what they want to hear. 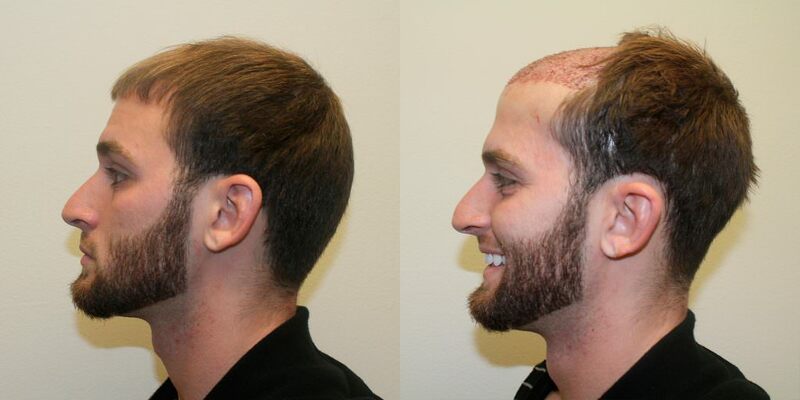 This gentleman was told he would get coverage from front to back with an FUE procedure. 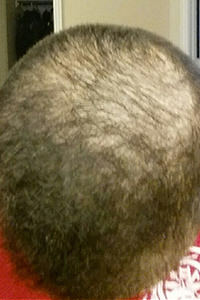 FUE is a disaster for a patient with this type of hair loss. 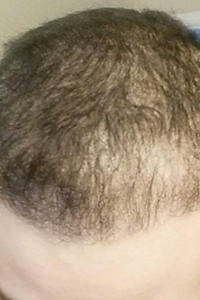 FUE is low yield and causes severe damage to the donor area. He simply needs hair, and FUE does not produce much of that. 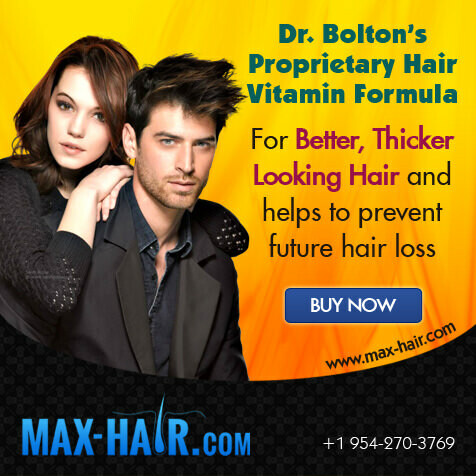 Nobody moves more hair then Dr. Bolton. He regularly moves 10,000 - 15,000 hairs in less then 6 hours from start to finish. 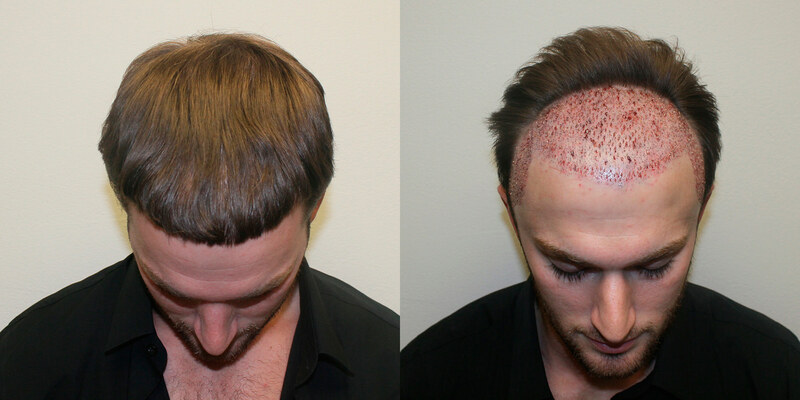 This gentleman got approximately 3,000 hairs and his donor is now severely compromised because it has 3,000 FUE scars, covering the entire donor area and beyond. 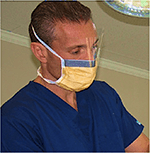 Unfortunately, most people have an expensive learning experience their first procedure. 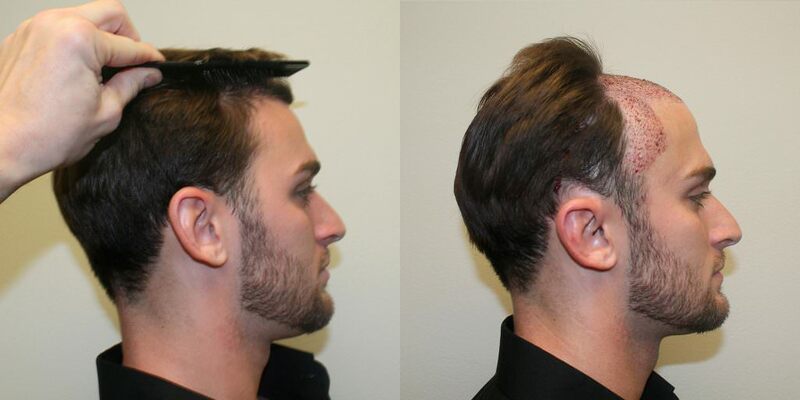 You can't cover an entire area this large with FUE unless you spread it thin. It is also not a scar-less procedure. You can save money by traveling internationally, but does it look like it was worth it? 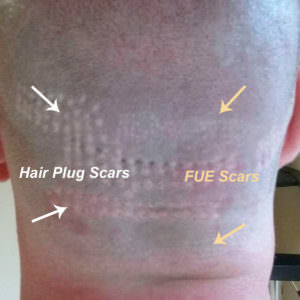 FUE is marketed very well by the companies that sell the machines, but their claims are completely bogus.